Non-Ferrous: A metal or alloy with little to no iron content. Some of the more valuable recyclable metal fall under the non-ferrous category. Materials such as copper (wiring and piping), Aluminum (window frames, rims, siding/gutters), Lead (auto batteries, sinkers), Brass (fittings, instruments, keys, door knobs, bells, cymbals), Stainless Steel (railings, sheet, pots/pans). The most efficient way to detect non-ferrous metals is by using a magnet. Non-ferrous metals are non-magnetic. When selling scrap metal, be sure that your non-ferrous metals have no parts that stick to a magnet as it will diminish the value of those materials. 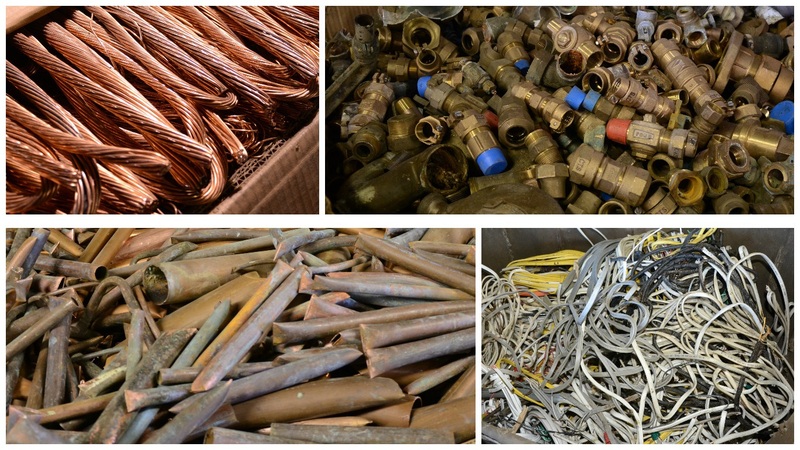 When it comes to Recycling your metals, sell your material to the Scrap Yard that has a trusted background in the industry. We want you to leave our Yard feeling rewarded both personally and financially!